replacement of out of date equipment, or modification and efficiency improvements to existing equipment (eg, Lighting). Energy Audits - Energy audits are comprehensive evaluations of the actual performance of a facility’s energy, using systems and measurement, compared against the designed performance level or the industry best practice. The difference between observed performance and “best practice” is the potential for energy and cost savings. ​Passive homes, for instance, use insulation, heat recovery, and solar heating to achieve energy self sufficiency. However, the passive approach alone is not enough. Energy efficiency is by nature a long-term endeavour of active demand management. The ultimate goal is for buildings to produce more energy than they consume, a trend that is reflected in recent regulations. Whether buildings are older and less energy-efficient or state-of-the-art positive energy buildings, metering and monitoring are the basic building blocks for efficient energy management. Effective metering and monitoring give owners and operators crucial information about how their buildings are performing so that substantial, almost-immediate improvements can be implemented. For example, an effective metering and monitoring system has the capacity to get tenants, property managers, and owners involved in energy-efficiency measures. The ability to identify and quantify energy usage is often sufficient to bring about energy-saving changes in practices and behaviours, such as reducing waste and avoiding peak utility rates. In a single operator and owner-occupied office building, for example, the introduction of effective metering and monitoring systems brings immediate energy savings of 10% - 15% and can also help reduce building operating costs.​ For more detailed information on Designing a metering system for small / medium-sized buildings click here. HVAC is often a major component of the energy costs in a building. The efficiency of HVAC is dependent on both the efficiency of the equipment and the efficiency of the system - how it is designed and operated. Choosing the lowest cost system will often be a mistake when lifecycle costs are taken into account. However, even high-efficiency equipment can underperform if not operated optimally. Motor Control - Electric motors make up the single largest end use of electricity in many developed countries. In industrial applications, electric motors account for roughly 60% of electricity consumption; in the process industries, electric motors can account for more than 70% of electricity use. The cost of running a motor can be as much as ten times to the purchasing cost of a motor. 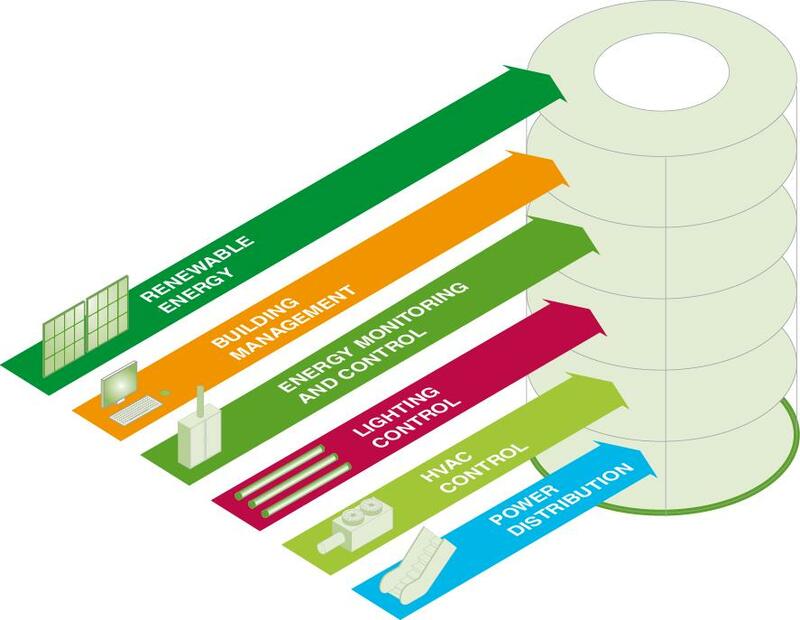 Therefore operation of motors represents a huge potential for energy savings. Many motors only have two settings: on and off. They operate at constant speed. If a motor turning at constant speed is driving a device or process that requires less output, adjustments are required to achieve the desired output level. This adjustment is often achieved by letting the motor run at full speed, while using downstream devices to block part of the output. This is like driving your car by having one foot fully depressing the accelerator pedal, and the other on the brake to constantly control the speed. It sounds absurd, but this is still one of the most common control methods. An estimated 60% of motors are not speed controlled. investigate how the efficiency of your HVAC system is measured, and how the overall capacity of the system can be optimised. Renewable Energy - With an average of 7.5 sun hours per day during the summer months, Australia is one of the sunniest countries in the world. Velocity Electrical licensed eco-smart electricians are certified (Clean Energy Council) Grid Connect Solar System installers. You will be provided with advise on the most cost-effective PV System for your specific building/home as well as most optimal positioning of the array and operation of the system. For more detailed information on Velocity Electrical solar division click here. Velocity Electrical is a recognised EcoSmart Electrician and able to provide you with the best options for energy efficiency outcomes. The knowledge and expertise we offer not only reduce the amount of electricity consumed but also the cost in both dollar terms and the benefits to our environment. Who is an EcoSmart Electrician? The National Electrical and Communications Association (NECA), the peak body for Electrical Contractors across Australia, has developed a program to train licensed electricians nationally in energy efficient and environmentally friendly electrical products, technology and installations.